Since the beginning of the year—actually even earlier than that—we have been marveling over the depth and quality of the horses targeting this year’s Triple Crown. Now, one horse has risen above all to take command of the racing world. By winning the Kentucky Derby (gr. I) and Preakness Stakes (gr. 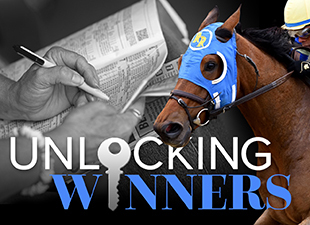 I), American Pharoah has positioned himself for a shot at immortality in the $1,500,000 Belmont Stakes (gr. I), where he will have a chance to become the first Triple Crown winner since Affirmed in 1978. From all appearances, American Pharoah should have a terrific chance to win the Belmont Stakes. He is lightly raced, having run just four times this season. He has trained very well since his seven-length romp in the Preakness Stakes, posting a pair of sharp workouts at Churchill Downs. His speed figures have been consistently fast; his tactical speed is a major asset. He will also start from post position five in a field of eight, which should enable him to stay out of traffic and work out a great trip. But the challenges are equally daunting. American Pharoah’s pedigree suggests that the twelve-furlong distance of the Belmont could be a bit far for him, and he will be facing several challengers that should relish the distance. Additionally, he will have the figurative "target" on his back, and the other jockeys won’t be handing him the race. But perhaps the biggest challenge of all is overcoming thirty-seven years of history. Since 1978, twelve horses have entered the Belmont Stakes starting gate with a shot at the Triple Crown, and all have failed. Some came close—very close—but each one failed. So will American Pharoah win the Belmont Stakes? I think it comes down to a question of whether or not he can handle the strain of three challenging races in five weeks. True, his Preakness victory was achieved in easy fashion—but he also had to set a very fast pace over a very sloppy track, and although he won without much urging, I think there’s little doubt the race took something out of him. In handicapping this race, I must admit that I have mixed feelings. I am a racing fan, and I would love to see American Pharoah win the Triple Crown. I’ve watched plenty of horses come close to sweeping the elusive series—I’ve stood and cheered and felt the feelings of sadness when they have lost—and I would like nothing better than to see American Pharoah stamp his legacy with a victory in the Belmont Stakes. But I am also a handicapper, and I remember all of the positive updates surrounding California Chrome’s bid to win the Triple Crown last year, and I remember how strongly I felt that this was the colt that would finally get it done; this was the colt that would finally end the drought. Instead, he finished fourth; victim of trouble at the start, a bit of an awkward trip, and—perhaps most of all—the toll of three races in five weeks. As a racing fan, there is no doubt I will be cheering for American Pharoah to win the Belmont Stakes… but as a handicapper, I have to try and beat him. My choice to pull off the upset is Materiality, who finished sixth in the Kentucky Derby. In that race, the son of Afleet Alex got off to a poor start and quickly found himself at the back of the pack, where he didn’t seem to care for having dirt kicked in his face. Despite this complete shift in running style—Materiality had never been farther back than second place in any of his previous races—the colt managed to put in an eye-catching rally in the homestretch to finish sixth, 7 ¾ lengths behind American Pharoah. With a better start, I think he would have had a major impact on the Derby, and with five weeks of rest, he should be ready for a peak effort on Saturday. Then there’s the fact that trainer Todd Pletcher has had tremendous success in this race, winning in 2007 and 2013 while hitting the board in 2006, 2008, 2009, 2011, and 2014. Throw in Materiality’s pedigree, which suggests he should have no trouble with the distance of the Belmont, and I think you have a recipe for an upset. Assuming American Pharoah goes to the lead, Materiality should be right on his outside tracking the pace, and if the Triple Crown hopeful gets leg-weary in the testing final quarter-mile, Materiality should be right in the position to take advantage. However, there’s another scenario that could potentially unfold, and that is a scenario in which Materiality and American Pharoah hook up too early in the race and tire in the homestretch, setting the race up for a closer. In that scenario, I believe Materiality’s steadily-improving stablemate Madefromlucky is the most likely to take advantage. The son of Lookin at Lucky is proven at Belmont Park, having won the nine-furlong Peter Pan Stakes (gr. II) last month in solid fashion, and his pedigree and grinding style suggest that the distance shouldn’t be a problem. From post position three, I envision him settling a couple of lengths off the early lead while saving ground, then gradually advancing to reach contention at the top of the stretch. From there, I think he will be right in the mix for victory. For the exotics, I believe Keen Ice has a good chance to hit the board at a big price. He doesn’t have much tactical speed, which could be a concern, but the plan is for Keen Ice to try and stay closer to the early pace, which he should be able to do as long as the pace is modest. From there, his stellar pedigree—by Belmont Stakes runner-up Curlin out of a mare by Breeders’ Cup Classic winner Awesome Again—should help him see out the distance better than most. Additionally, he ran deceptively well in the Kentucky Derby, as he encountered traffic at the top of the stretch and had to fight his way between horses before rallying in deep stretch to finish seventh. At 20-1 on the morning line, he’s definitely one to consider for the trifecta and superfecta. Two horses I will try to beat in the Belmont Stakes are Frosted and Tale of Verve. The former won the Wood Memorial (gr. I) and finished fourth in the Kentucky Derby (gr. I) after a very wide trip, but my gut feeling—based on his past performances—is that Frosted won’t relish the distance and will flatten out in the homestretch. Of course, this is just my opinion—Frosted has been training very well for the Belmont, has run over the track, and deserves a lot of respect. But as the likely second choice in the wagering, I think it could be worth trying to beat him in the trifecta or superfecta. As for Tale of Verve, he ran the best race of his career to finish second in the Preakness Stakes, but the sloppy track may have enhanced his performance while causing some of his key rivals to falter. He’s another deep-closer that is expected to show more early speed than usual in the Belmont, but given that his Preakness effort was such a large improvement over his previous races, I’m concerned that he could regress at a relatively short price in the Belmont. This brings us to the final two horses, Mubtaahij and Frammento. Mubtaahij demonstrated great acceleration in the UAE Derby (UAE-II) two starts back, but could only finish a tiring eighth in the Kentucky Derby after saving ground throughout. It’s hard to know what to make of this colt off of just one start in the U.S., but after posting six timed workouts since the Kentucky Derby, he will hopefully be ready for a sharper effort. Frammento must be respected for the fact that he is trained by Nick Zito, who has upset two Triple Crown bids with longshots Birdstone and Da’ Tara, but the colt’s deep-closing style could leave him with a bit too much to do in the homestretch. Now it’s your turn! Who do you think will win the Belmont Stakes?